If you need to buy a new domain, we suggest that you use something that is specific enough to be familiar to your target audience, but generic enough so that you can use it to advertise to all of the areas that you work. 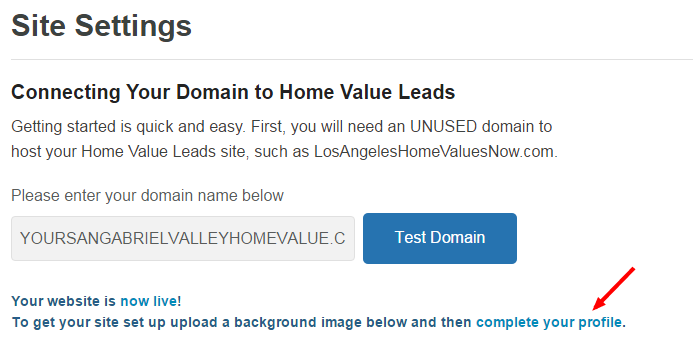 If you are wanting to target multiple areas, you do not have to buy multiple domains. Edit your domains DNS using one of the guides below. Delete the previous values for "www" and "@"
Go back to your HVL account settings page. If you see an error message click recheck every couple of minutes until the error message goes away and then hit save. When your screen looks like the image below your site will load on your custom domain. If the error does not go away after 10-15 minutes please email support@homevalueleads.com so we get it up and running for you!